They are good and bright! Just on the top part of gauge not as bright as i had hoped, but still a great product! Thanks! 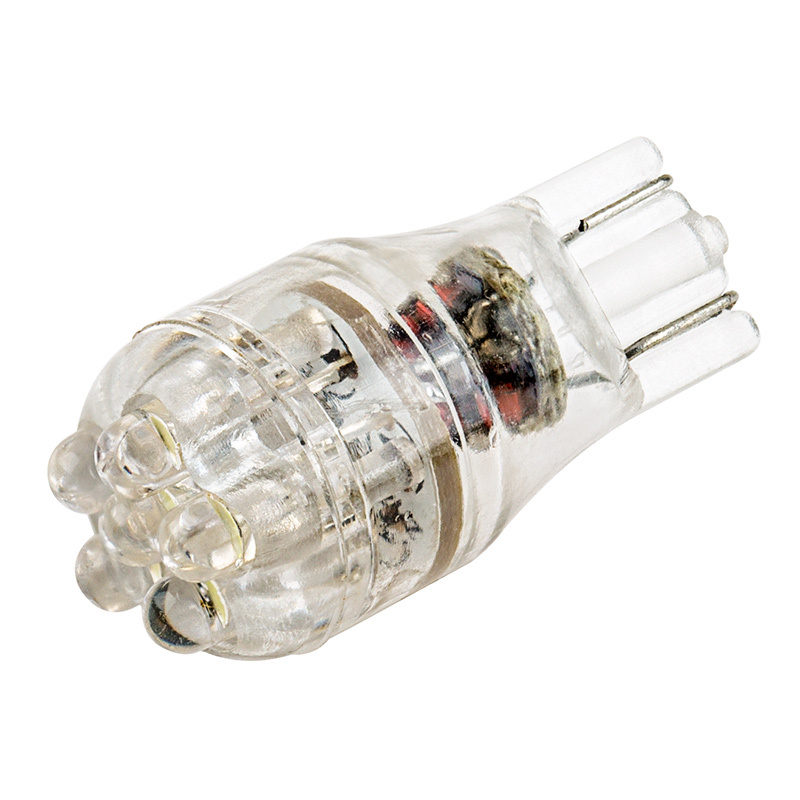 While the T5-R6 bulbs you ordered have plenty of brightness for gauge lighting applications they only have a 30 degree beam pattern. This limits how much the light spreads and can cause uneven lighting across the gauge. The WLED-R5 with a 220 degree pattern or the WLED-RHP5 at 360 degrees would give a much more even lighting across the entire gauge. If you like you can return the T5-R6 bulbs for a refund using the Return/Exchange Form and then place a new order for one of the others. Replaced T5 incandescent landscape lighting bulbs with 23 T5-A6 LED bulbs around the house. Beautiful green glow. No problems at all. Reduced power required by more than half. Hopefully will never need a replacement bulb. Fast shipping. I replaced the light bulbs in my camper. These bulds are really good. Perfect size for my application. Great product at a great price. Very satisfied. Will recommend you to others. Can see the dash gauges now! These led bulbs light up the dash on my 78 Chevy! They are so much brighter than the originals and a must have for any 70"s model vehicle. it is so nice to be able to see the gauges clearly now, even during the daytime hours.